Move the person to a shady spot or indoors and have him/her lie down with legs elevated. If able to drink liquids, have him/her sip cool water in a SITTING position. Remove clothing, apply cool water to the skin, and fan the person. Apply ice packs to the armpits, wrists, ankles, and groin. 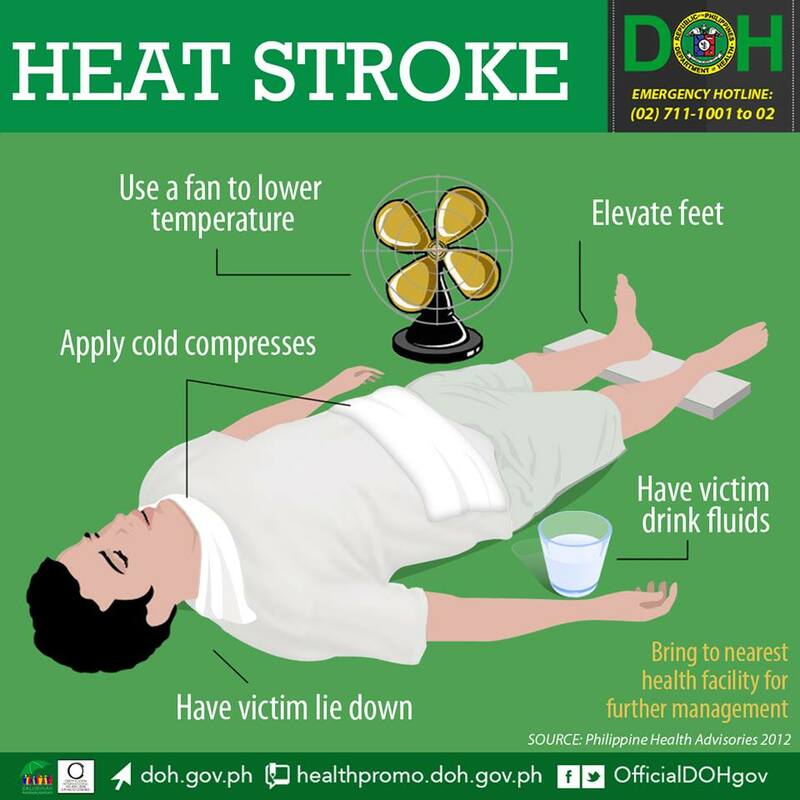 • HEAT STROKE IS A MEDICAL EMERGENCY! BRING THE PATIENT IMMEDIATELY TO THE HOSPITAL AFTER INSTITUTING EMERGENCY MEASURES. • Limit the amount of time you spend outdoors. • Avoid tea, coffee, soda, and alcohol. Wear a wide-brimmed hat & long- sleeved clothing when outdoors. Schedule heavy-duty activities for the beginning or end of the day, when it’s cooler.